TurboCharged Sales is now available…helping you to smash your sales goals, embed a consistent sales improvement program and ensure all your sale activities are aligned with sales success. Every sales team deserves the very best chance if hitting targets, because inconsistent sales performance means business growth is compromised due to lack of stability and certainty. Top performing sales reps have consistent records for hitting sales goals, whether that’s new business, account management, they maximise the returns on the firm’s costly sales and marketing activities, meaning sales success all round. Hitting target comes as second nature to those sales reps. They don’t even consider failure, they experience it so rarely. Sales success breeds sales success. And, it’s addictive, but just where do you start? Sales results can be anything from desperate to stratospheric. I know which one I prefer. You too? That’s why the TurboCharged Sales Results program was designed: to help businesses, sales reps and sales teams to hit sales targets…even SMASH those sales targets. In fact it’s for anyone who is either target carrying or supporting target carrying sales professionals. Sales people do not sit around planning to fail, failing at account management, wasting sales and marketing leads, performing waste of time sales activities, planning to miss sales goals or striving to achieve ‘worst salesperson of the month’ award. That’s why TurboCharged Sales shows you what to do, every single day to be a great sales person. Creating value based sales proposals. Bite size sales training so you get to practice as you learn. The ultimate Earn As You Learn. Even better yes…this is a rinse and repeat program to continually drive the sales team towards their sales goals and the business towards growth, stability and certainty. Hitting target should be a habit. Not a struggle. Just like it is for top performing sales reps.
Just 15 minutes per day and you get, after 21 days, a fully functioning sales machine. At last, because every sales team deserves the skills to create a sales pipeline, using a proven system where you can turn the tap on to flood your sales forecast with high quality. well qualified sales prospects. Where the sales team and the business moderate the flow of sales as needed to provide the quality and quantity of sales want whenever you want. This is the ultimate rinse and repeat sales program. When you’ve finished you simply start the cycle again. This time you’ll see how you can achieve more. Achieving better sales results. More profitable sales figures easier, quicker and with less effort. Are you looking for a SYSTEMISED way to generate high quality, high margin and high value sales as often as you want? Welcome to TurboCharged Sales. As a self study sales pack, just 15 minutes per day, if you’re a busy sales professional out in the field. If you’re a sales leader, MD, team leader, sales coach, sales trainer – use this to run your sales training, your sales meetings, your sales coaching sessions. You can even embed this sales system in your business. Simply put, if you are in a target carrying position or supporting such a function – this is a systemised sales improvement program that works. Because you want the accolade and your bonus! TurboCharged Sales also provides an endless supply of relevant information and practical skills insights for feeding daily sales huddles, sales meetings, sales booster sessions and coaching sessions because everyone needs to continually develop new skills. 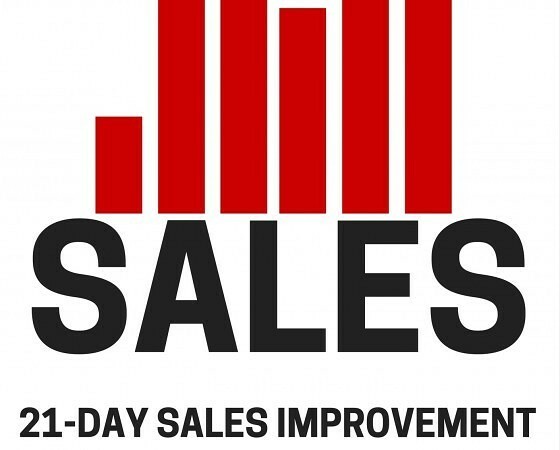 BUT the main reason is that continuous sales improvement is a cycle of consistently filling the sales pipeline. This means taking the sales prospect through a well defined sales process and closing the business, now this is not complicated, it’s not easy but it is simple. Most sales people fail because they lack a business development system, because they lack the insight to connect revenue generating tasks to hitting target, and because of this they waste time, their skills and the opportunities generated by costly sales and marketing activities. If they do that a system they lack faith in working it consistently, meaning they never form the hitting target habit! How to Hits Sales Targets – TurboCharged Sales Results…Really? And in just 15 minutes per day. Create 60 mins plus extra selling time every day, because that’s more than 20 revenue generating hours per month. Discover the three most important insights to consider when SMASHING your sales target. Master the art of making every minute count. Uncover the simple system that means you’ll never need to make a cold call ever again. Incorporate sales clout into your business generation efforts. Build a perpetual motion referral engine. Gain a healthy, highly qualified steam of sales prospects itching to move through your sales pipeline and convert to orders. When you’re short on time, target and leads understand what you MUST do. Learn how to use price to your advantage. Every time. Discover the only 6 things you need to know to influence your prospects. Master the art of running great prospect meetings where you create raving fans. Develop a sales pipeline, feeding your target all year round. Boost your average order value using three simple tips. Double your sales close rate by asking one low key question. PLUS, in addition to showing you how to hit sales targets TurboCharged Sales also shows you how to…. Kill your competition. Legally and with their permission. Let your prospect know you’re the only provider who can deliver. Get your leg out of the blind auction – never compete on price again. Gain expert status with the prospects and customers. Take the stress out of selling. FOREVER! Build a rock solid sales pipeline, sales address book AND sales reputation. Understand what sales metrics to watch and what sales metrics make you rich. 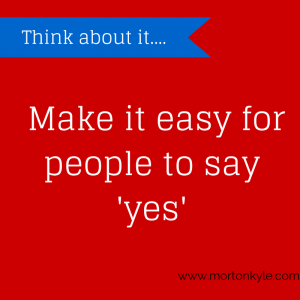 Have your prospects saying ‘well, this is a no-brainer, where do I sign?’. Write business winning sales proposals that convert quickly. Build certainty into your sale process, presentation and pitch. Forget about getting around the gate keeper….sail straight through. Uncover the single most important fact about sales targets, because it’s not what you think! Here’s how you can get ahead – just hit the link – TELL ME MORE. TurboCharged Sales Results is a perfect program for you, especially if you’re busy, on the road, time poor and you want serious sales improvement over a relatively short time. TurboCharged Sales Results – Better Sales Results Faster. 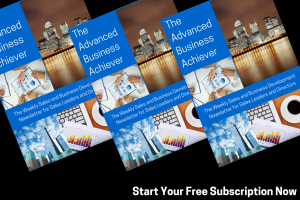 Subscribe for our weekly e-guide – The Advanced Business Achiever – free sales improvement and business development hints and tips for your business. Every sales team wonders how to hit sales targets at some point, now with TurboCharged Sales you don’t have to wonder. This entry was posted in Blog, Business Development, Sales Funnel Creation, Sales Training, Selling and tagged Business Development, How to Hit Sales Targets, How to Improve Sales Results, How to Increase Sales, Sales, Sales Course, Sales Funnel, Sales Margin, Sales Performance Improvement, Sales Pipeline, Sales Training, Sheffield. Bookmark the permalink. Pingback: Interim Sales Director - Results Driven Sales Expertise. Pingback: What's Your Sales Why? Why You? Why Should the Buyer Select You? Pingback: Improving Sales Performance - How To Improve Sales Growth Fast!